For those of you with brides in your life, the AMAZING Monique Lhuillier sample sale is tomorrow, June 26th from 10AM-4PM. I got to preview the sale today with my sister, and it is definitely worth going to--but you better wake up early...the staff was telling us people come as early as 3:00AM! There are some HUGE bargains...60-90% off gowns. 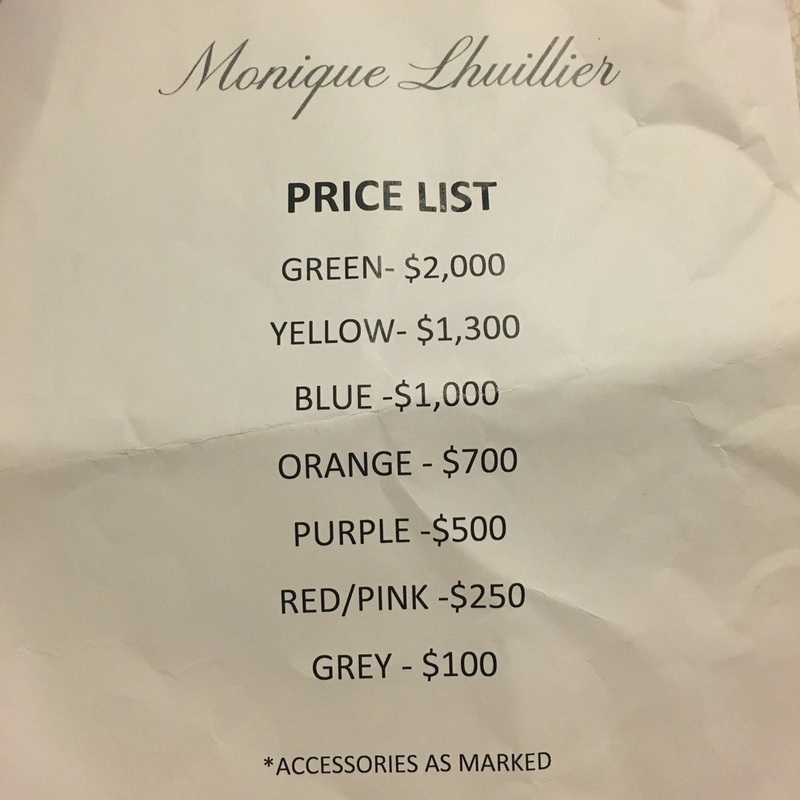 Each gown is color coded, I have attached the price list here! We saw so many styles, multiple sizes, and a lot from Spring 2016 collection as well as the bliss line. Accessory selection is limited, and there's also 2 racks of ready to wear. I just thought I would share the pricing--wish I took more pics. If you have a specific dress in mind, DM me on Instagram and I'll tell you if I remember seeing it! The sale is at: 4533 Pacific Blvd, Vernon, CA 90058. Cash & credit only, final sale. Good luck shopping! !